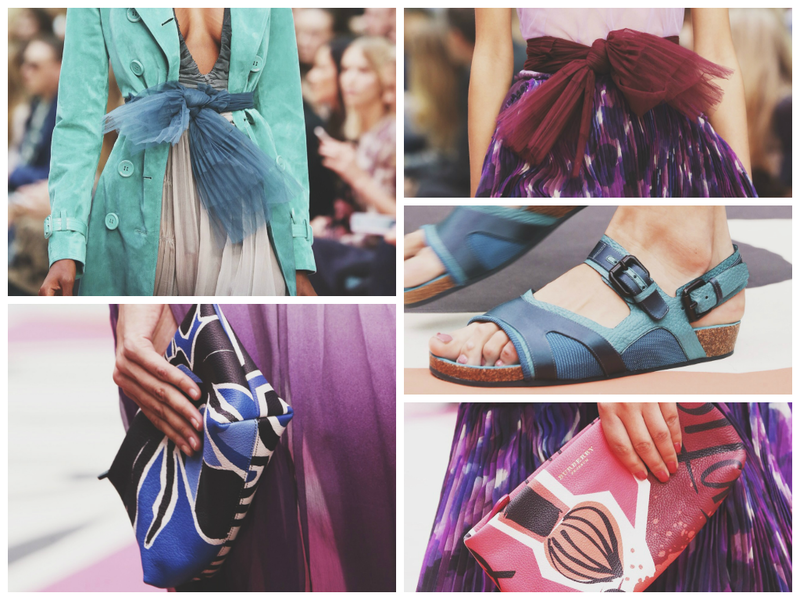 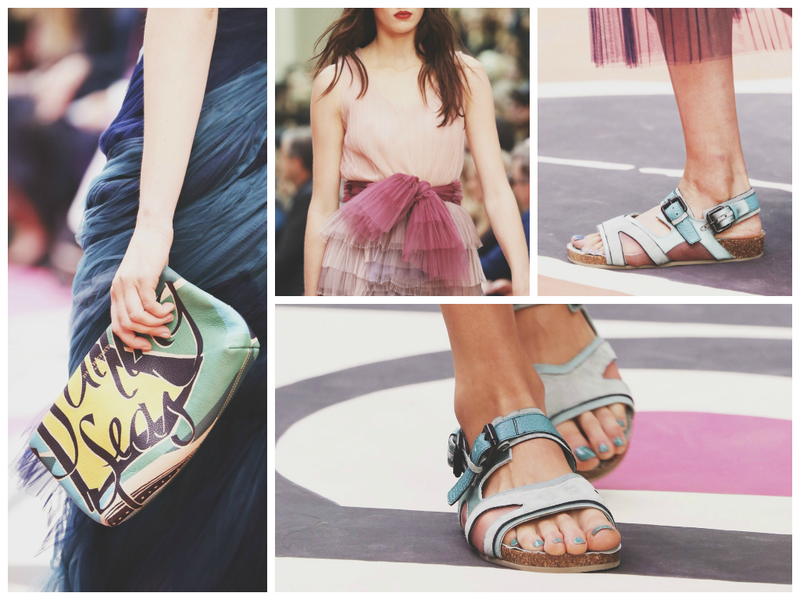 Firstly, I must admit that I have slacked in writing about my favourite designer's SS15 so I definitely need to catch up! 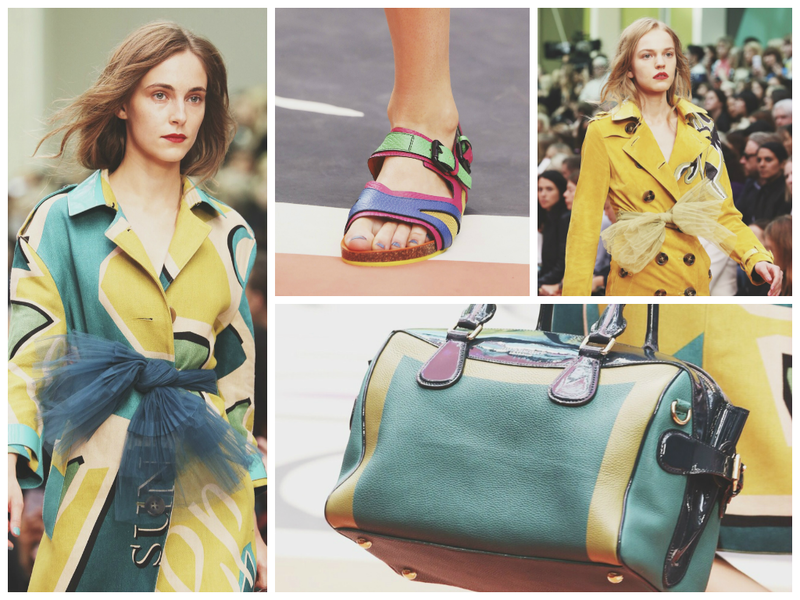 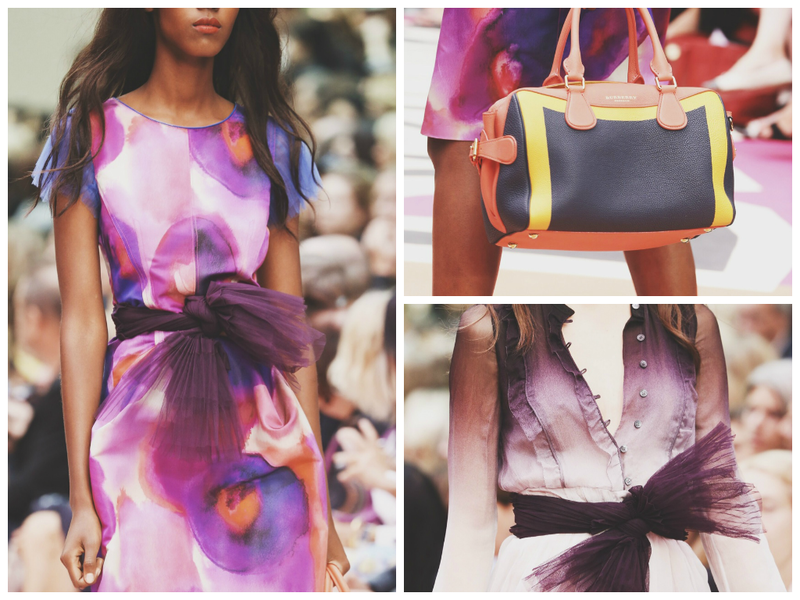 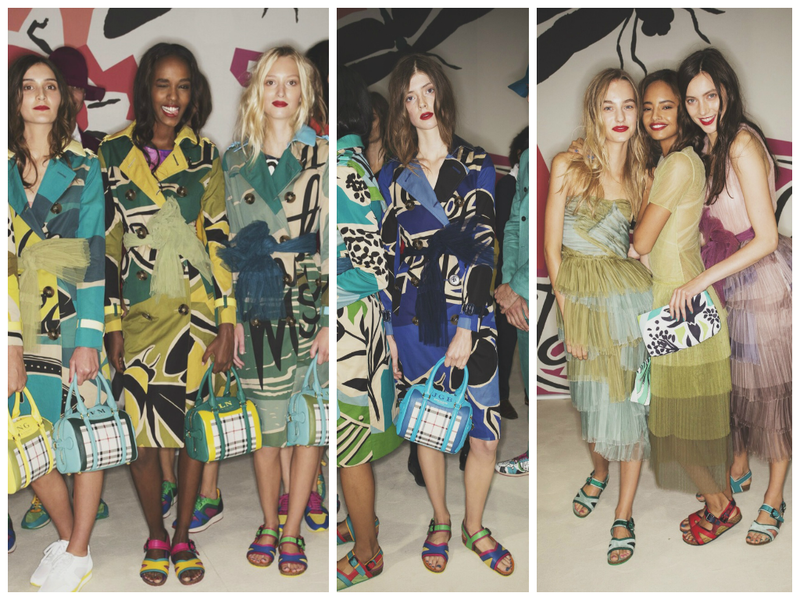 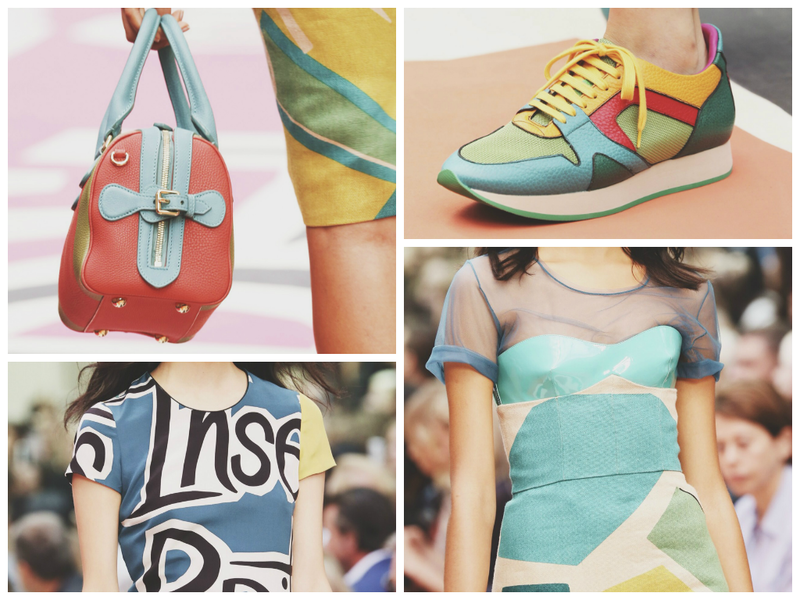 I also thought to myself, it's very unlike me to not have really posted about or mentioned the SS15 Burberry Prorsum collection. 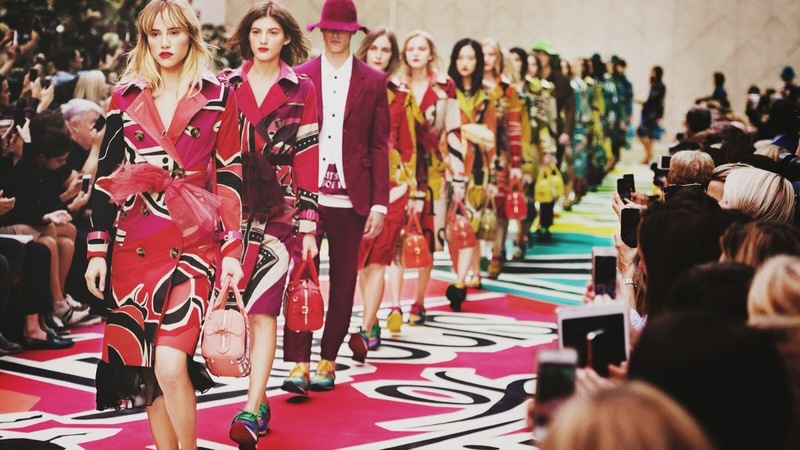 It had mixed views from many names in the industry, mostly positive and it grew on me. 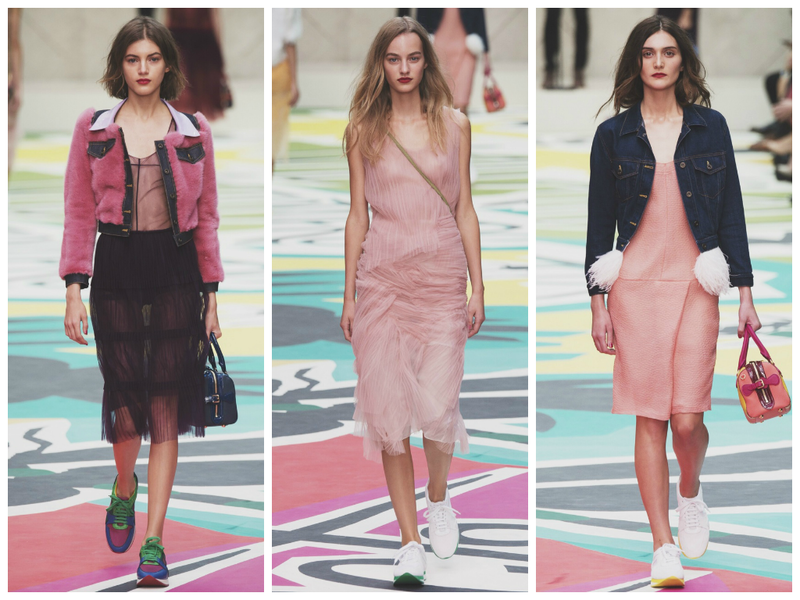 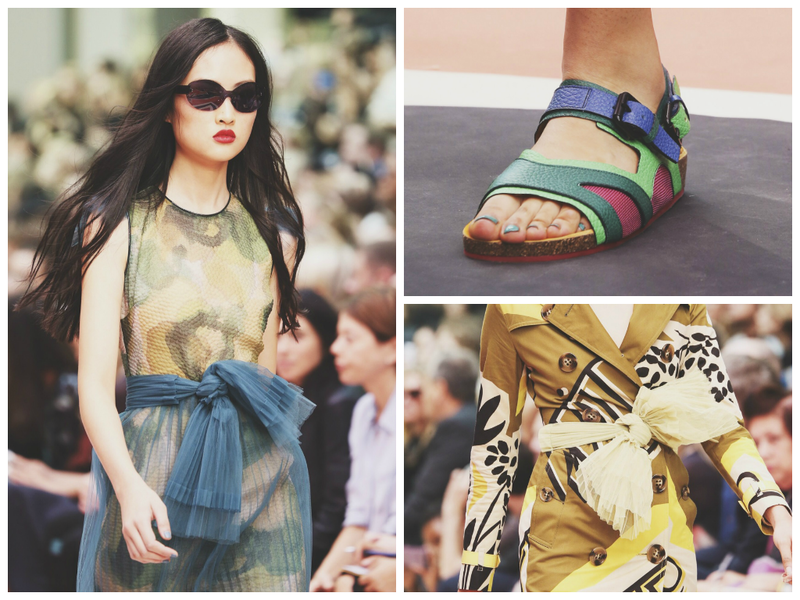 It was a collection that I didn't expect from Burberry at all. 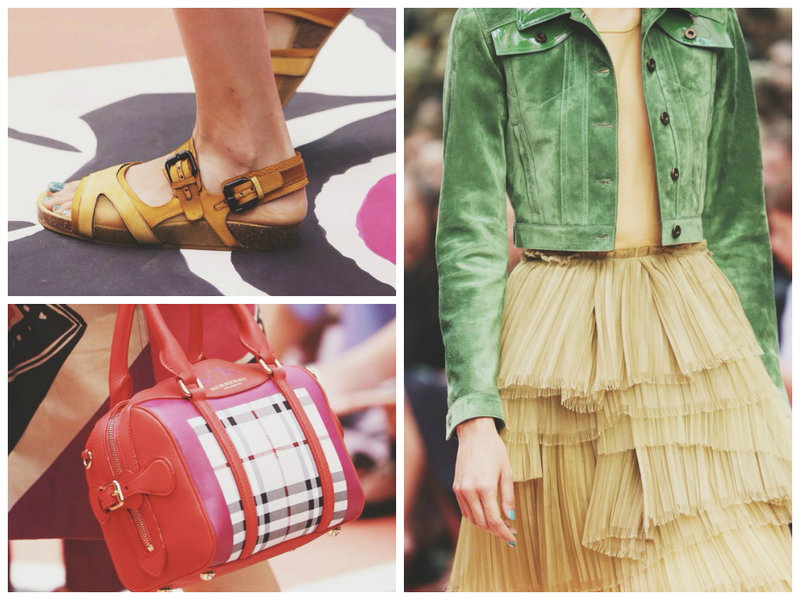 Personally, I stereotype Burberry to be very traditional and British. 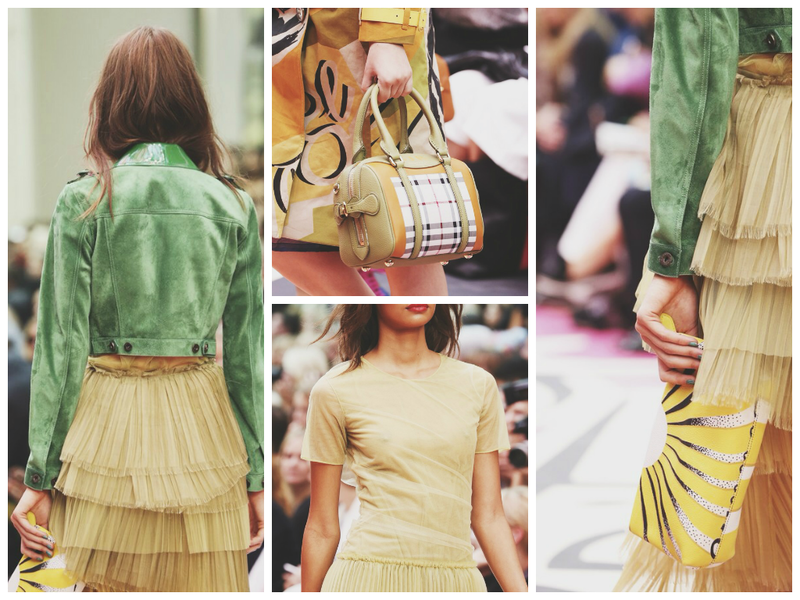 Using blacks, tans and creams as a main colour scheme. 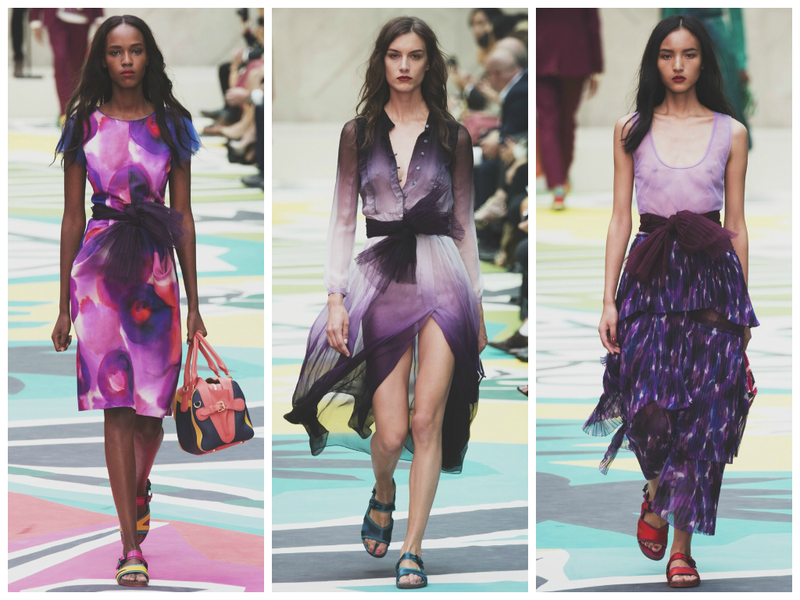 As a summer collection I did expect a pop of colour, but I was taken aback with how much colour was actually put into the collection. 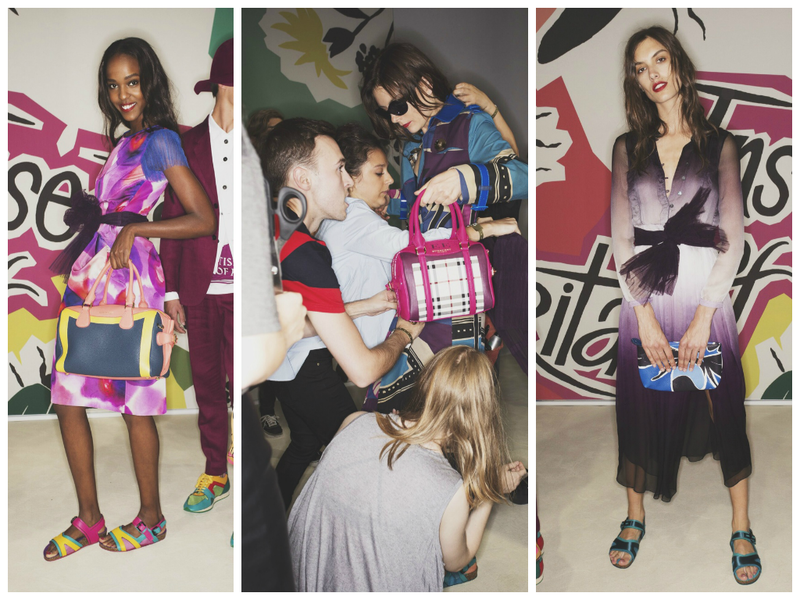 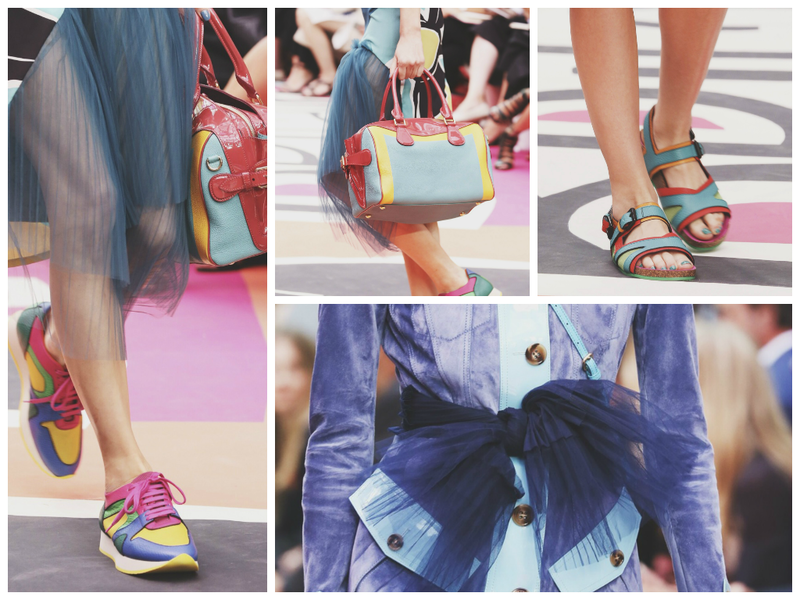 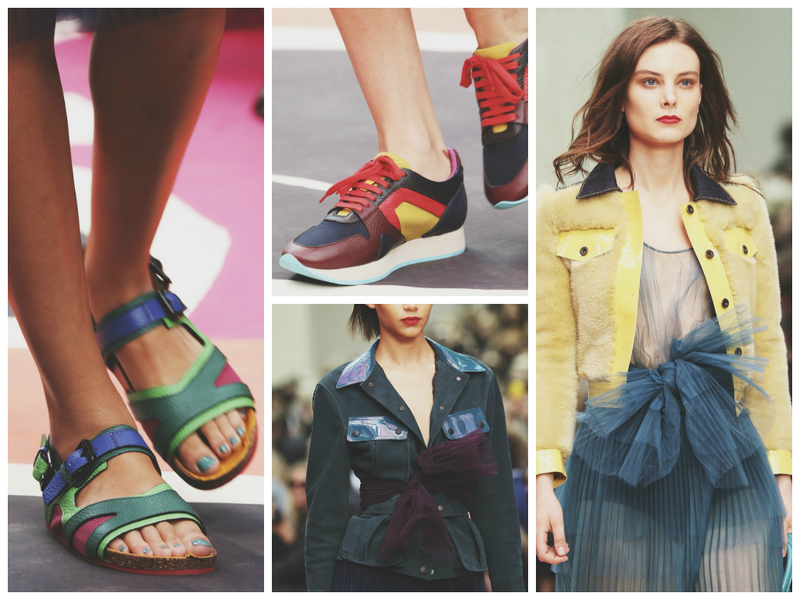 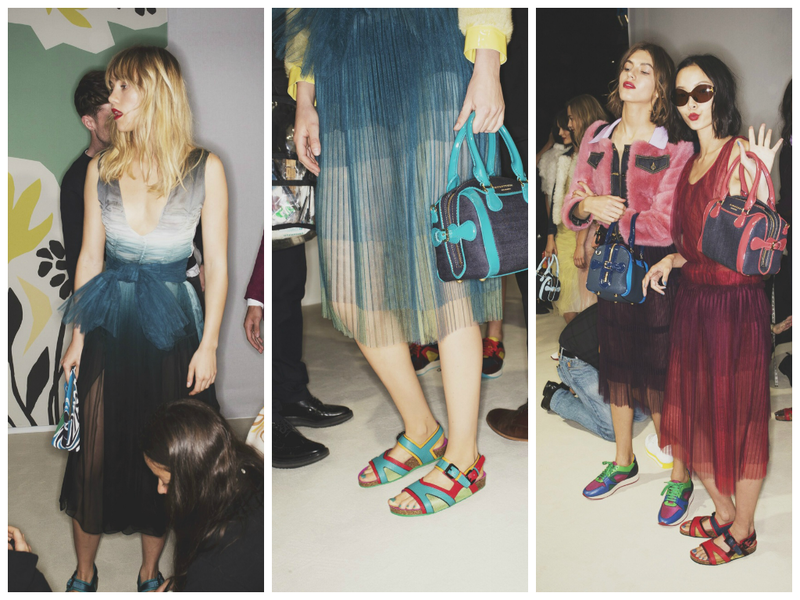 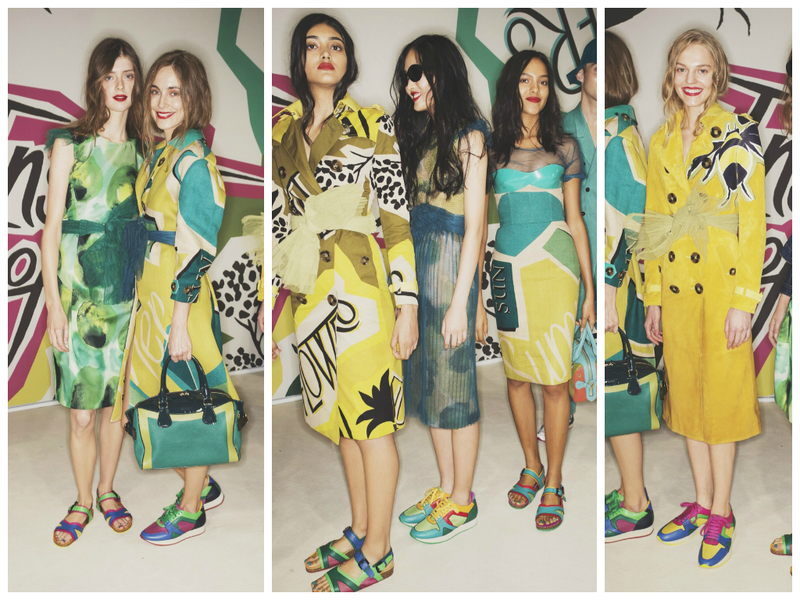 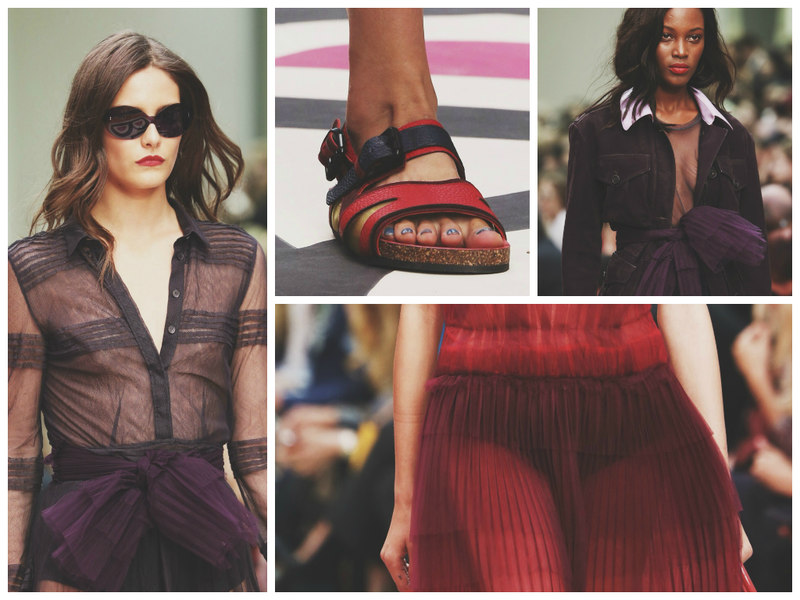 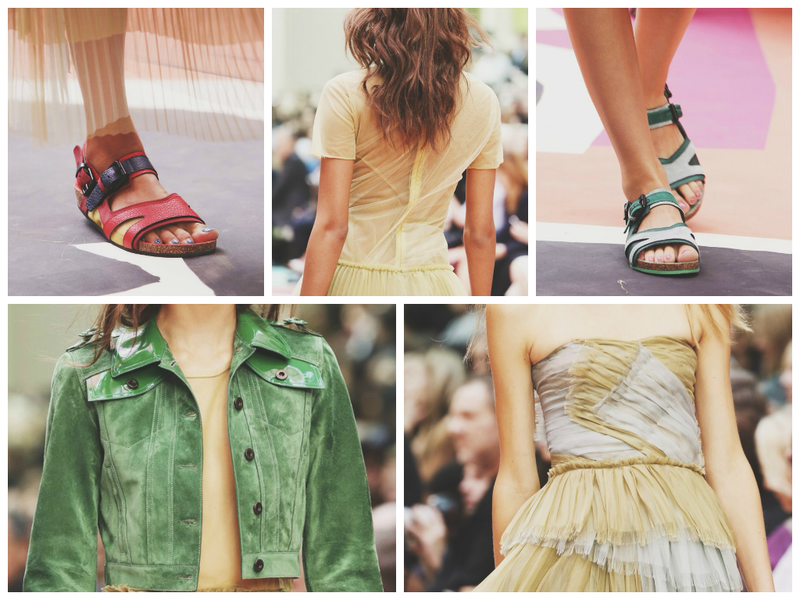 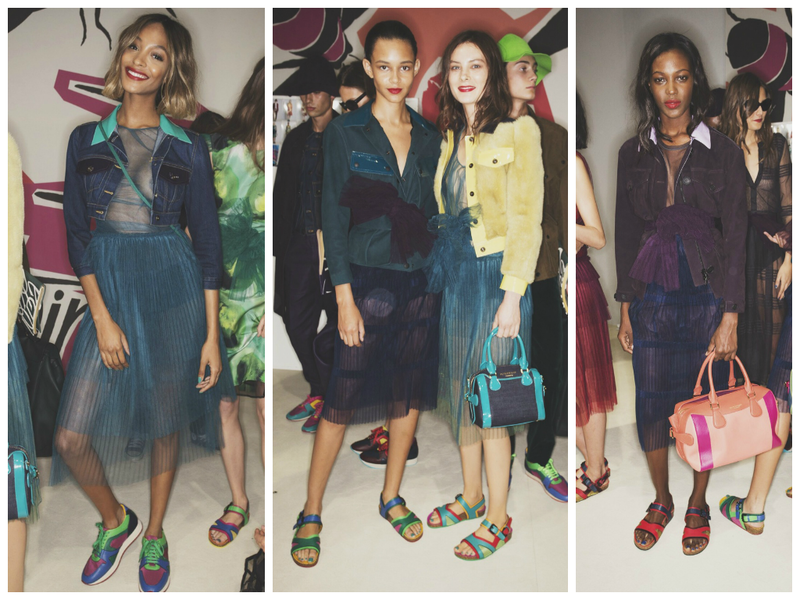 Poppy red, rose pink and battle greens were the standout colours printed on beautiful silk and soft suedes. 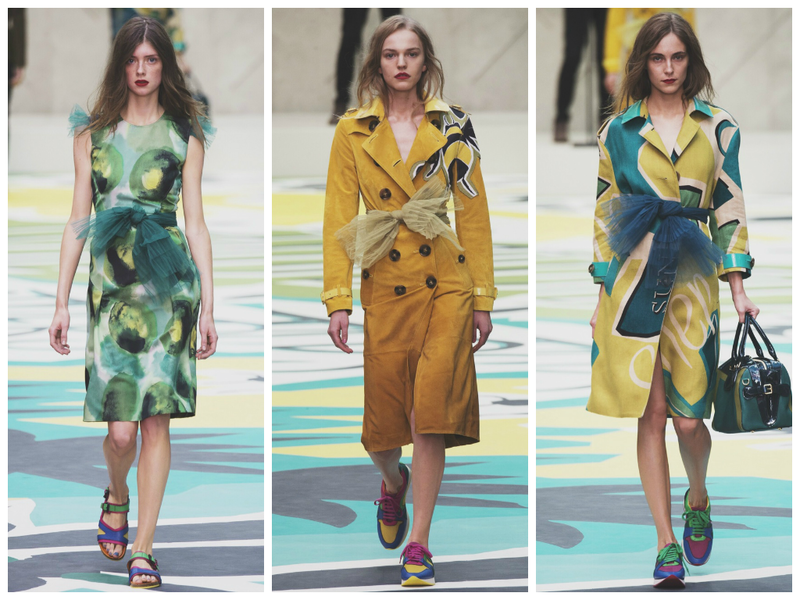 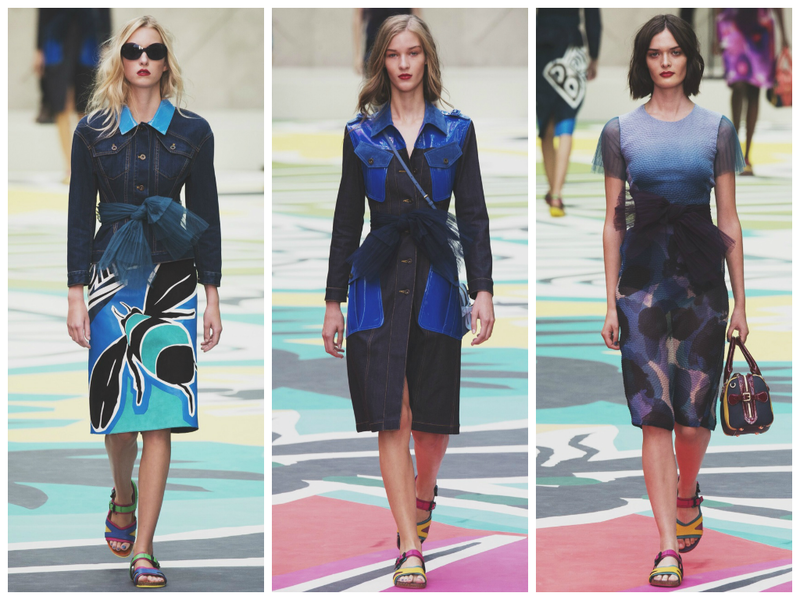 The iconic trench coats were printed with bold butterfly prints which really captured the nature and summer of Britain. 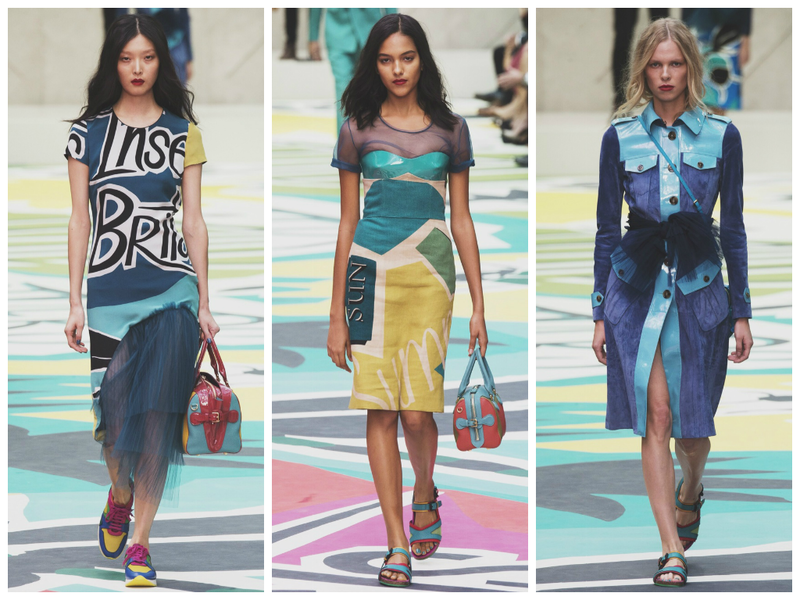 This was Christopher Bailey's inspiration, and I'm so glad he chose this brief. 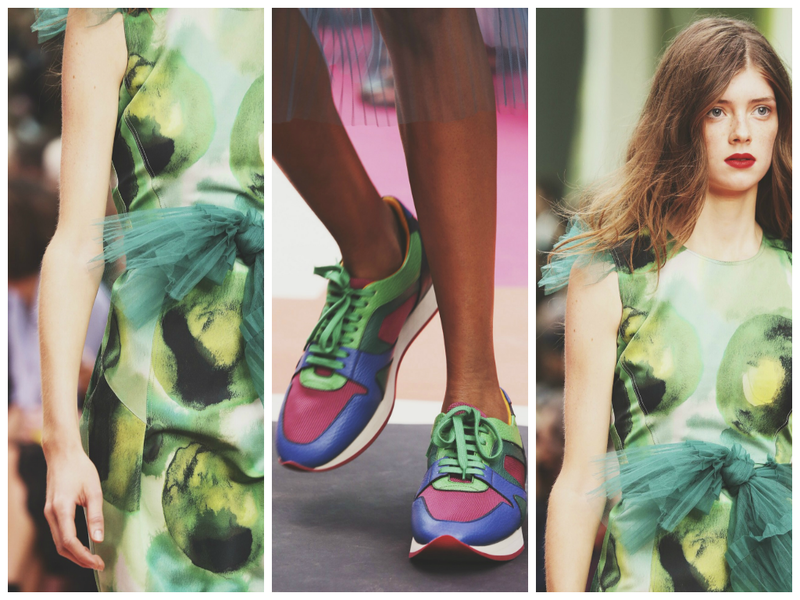 The SS15 collection is called "The Birds and The Bees" which i think is a pretty, summery name for a collection. 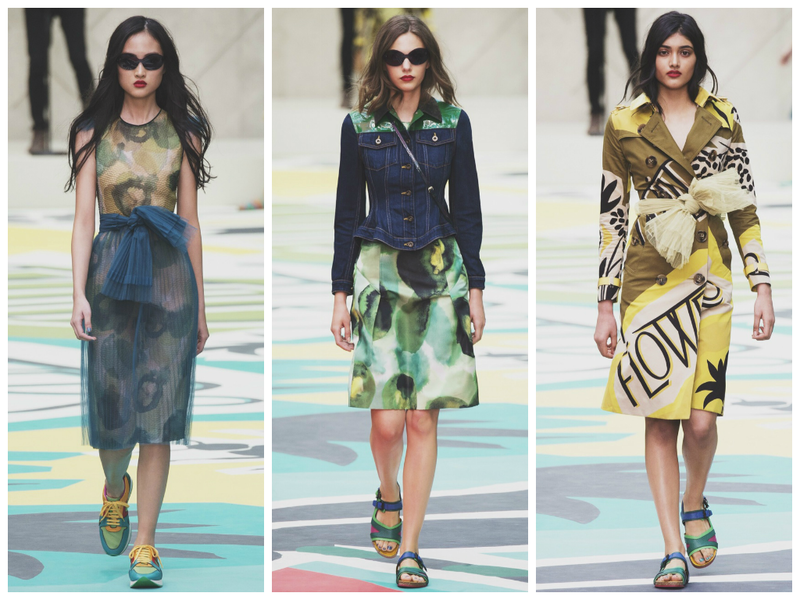 Floral hues, dragonfly belts and wasp waists were a great touch to the looks in this unique collection. 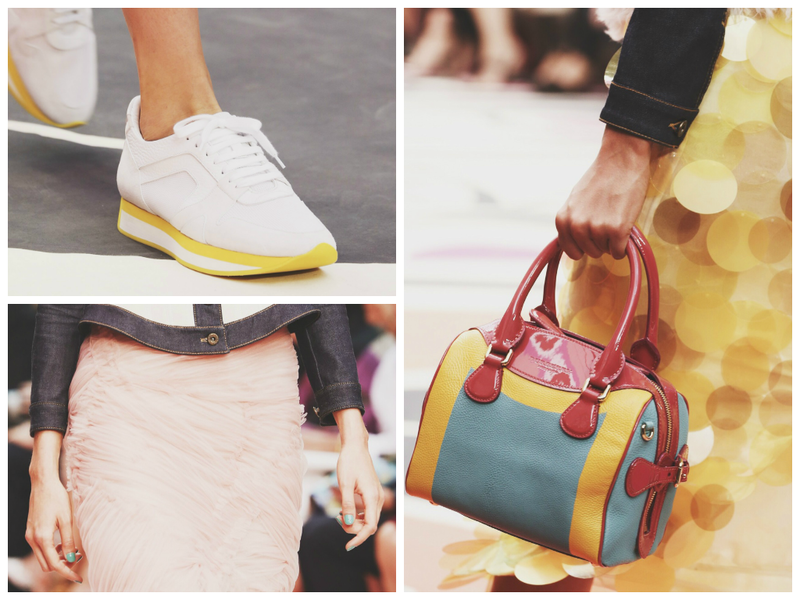 A new pieces that was introduced this S/S was the "Bee Bag". 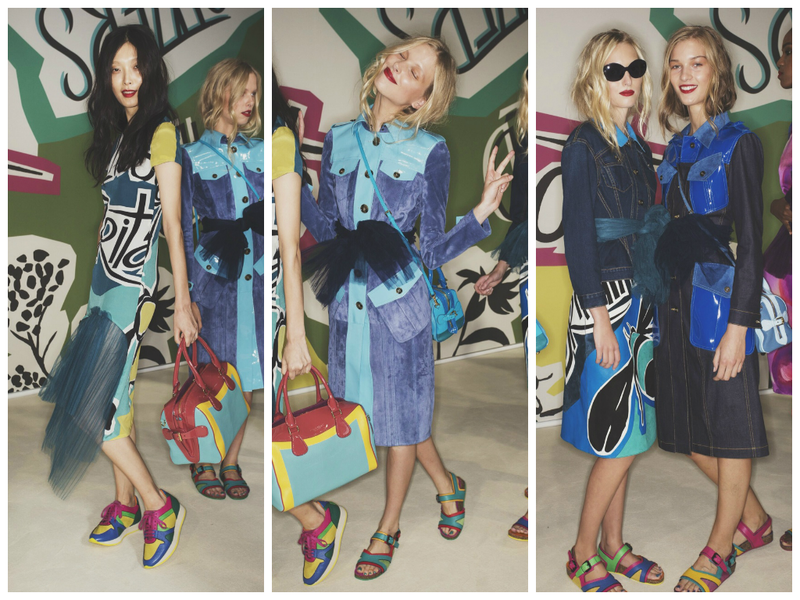 Bursting with colour on hand-painted leather, the bag is a must have! 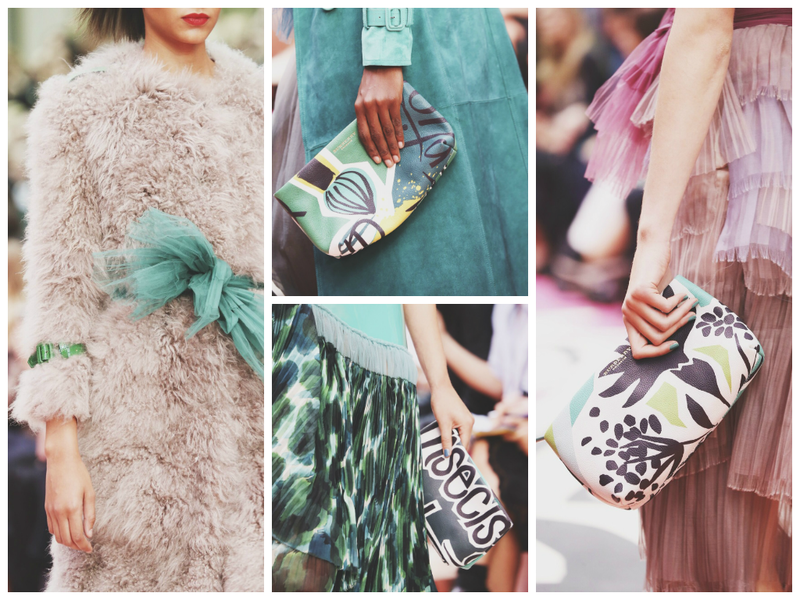 I personally fell in love with this bag because it features the prints of insects and flowers, which is uniquely different, yet wonderful to the eye. 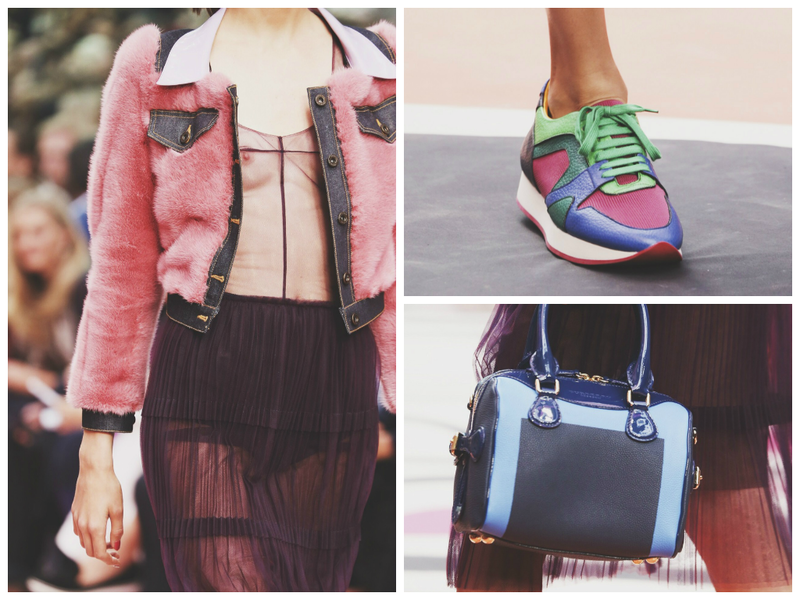 I also liked that some of the colours and fabrics were soft, it was a perfect contrast with some of the bolder pieces. 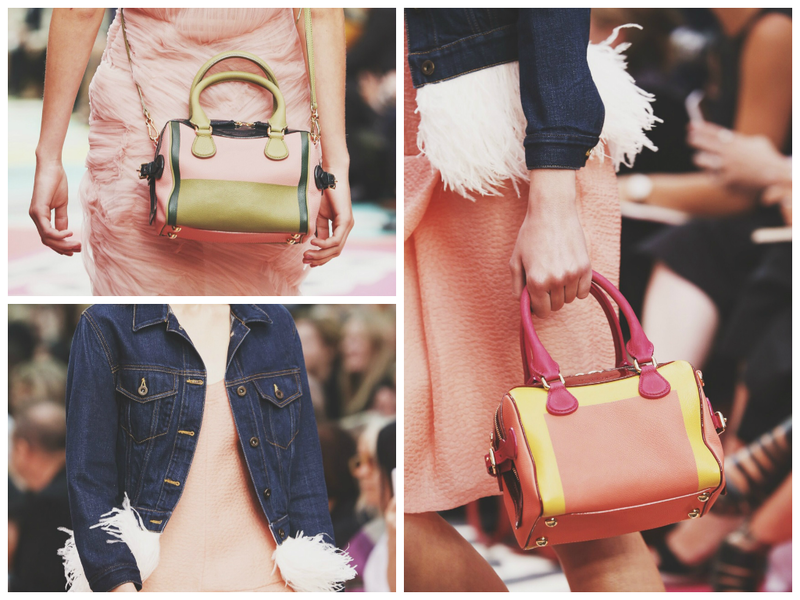 The Bee Bag doesn't just come in leather, but also denim, patent and horseferry check. 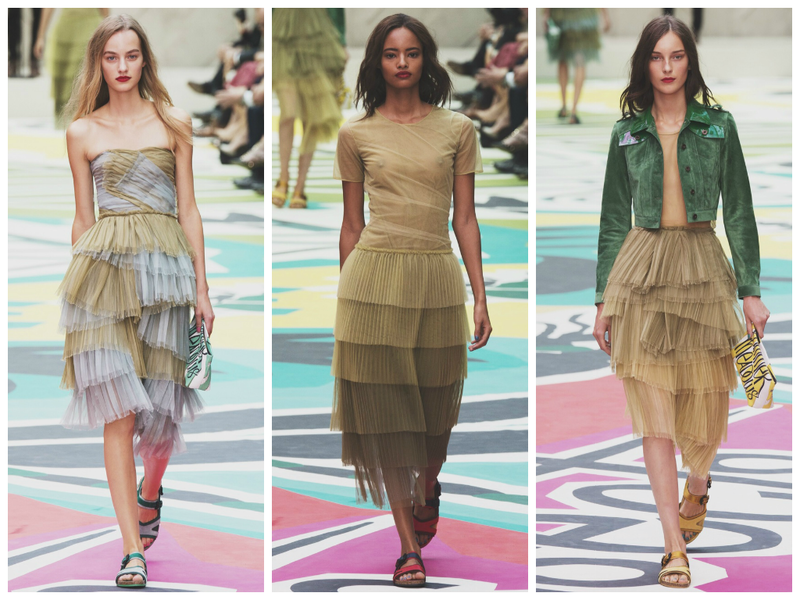 I would snap up all 4 if I could (a girl can dream). 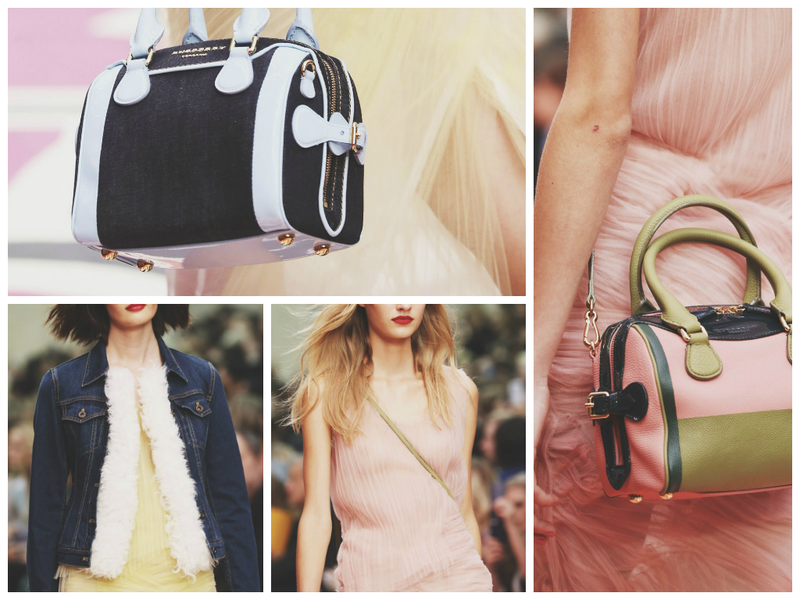 The bag itself features wing pockets swell as cross body straps, and my favourite feature that Burberry offers - the monogrammed initials. 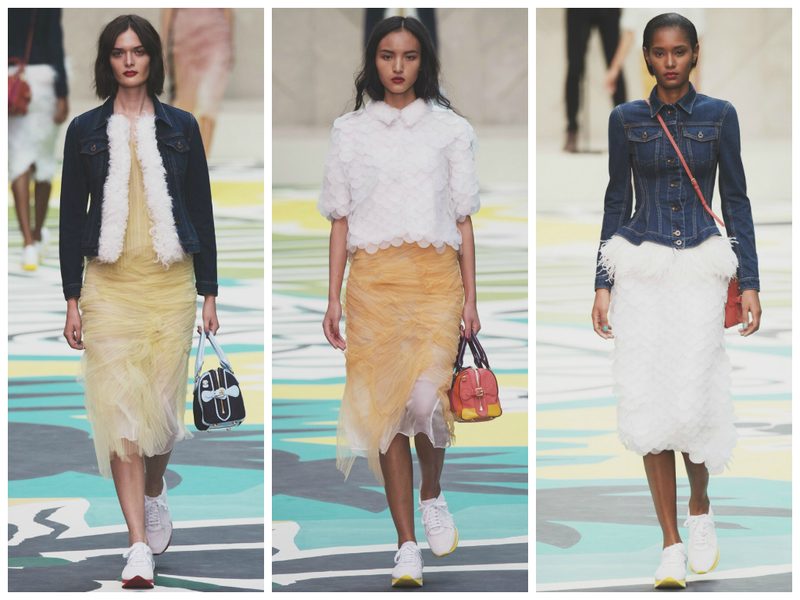 Malaika Firth opened up the show, being serenaded by British singer, James Bay. 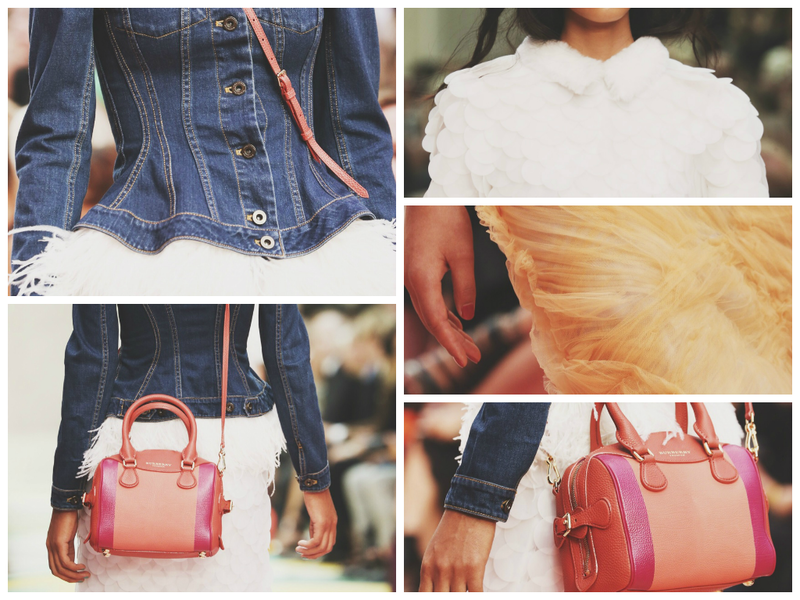 She wore a beautiful wasp-fitted denim jacket with THAT bee bag. 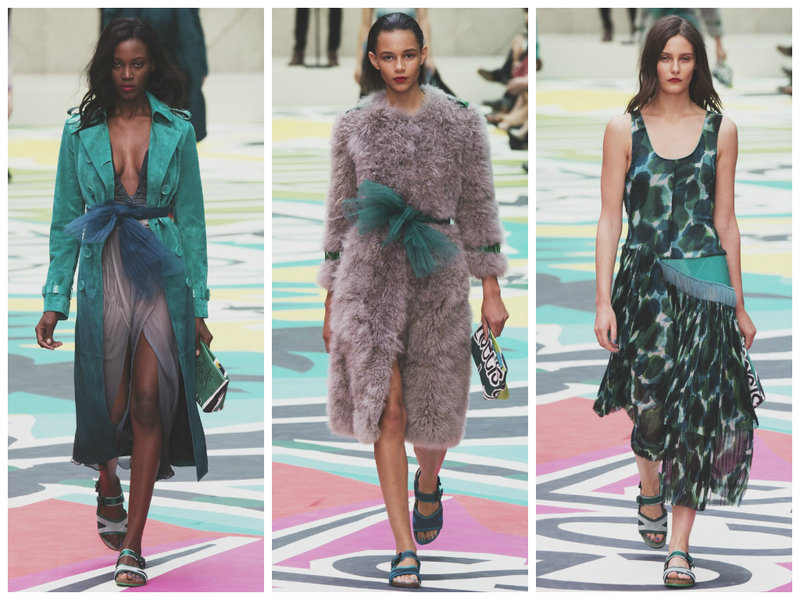 Swiftly walking down the runway being spectated by the likes of Kate Moss, Cara D and Mario Testino, Malaika showed us instantly that Burberry had done something new this year. 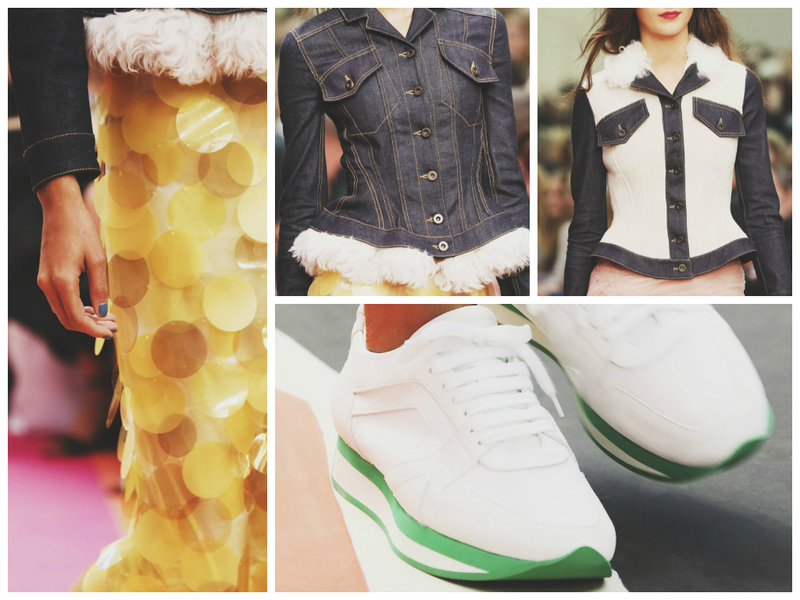 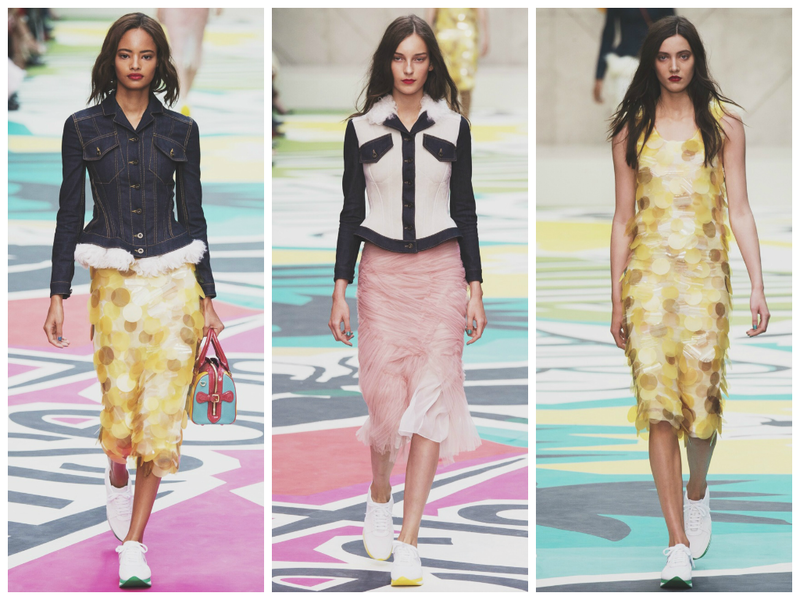 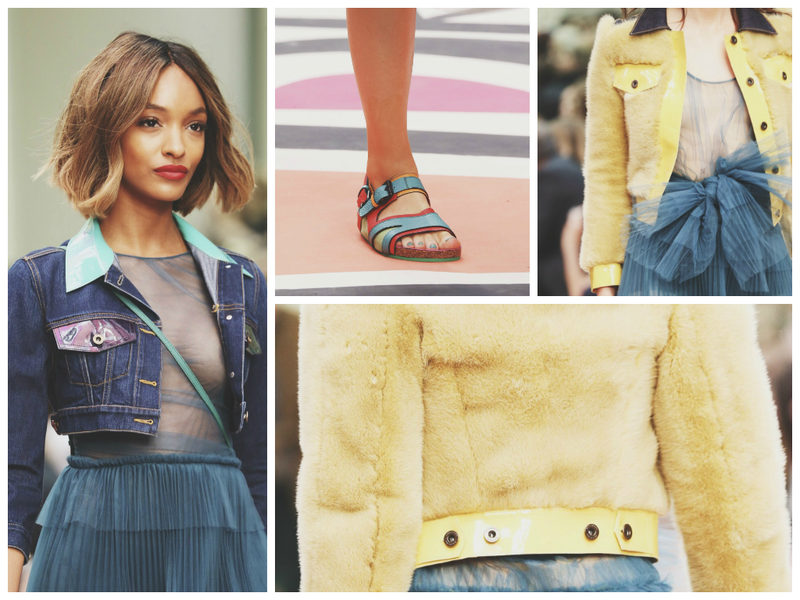 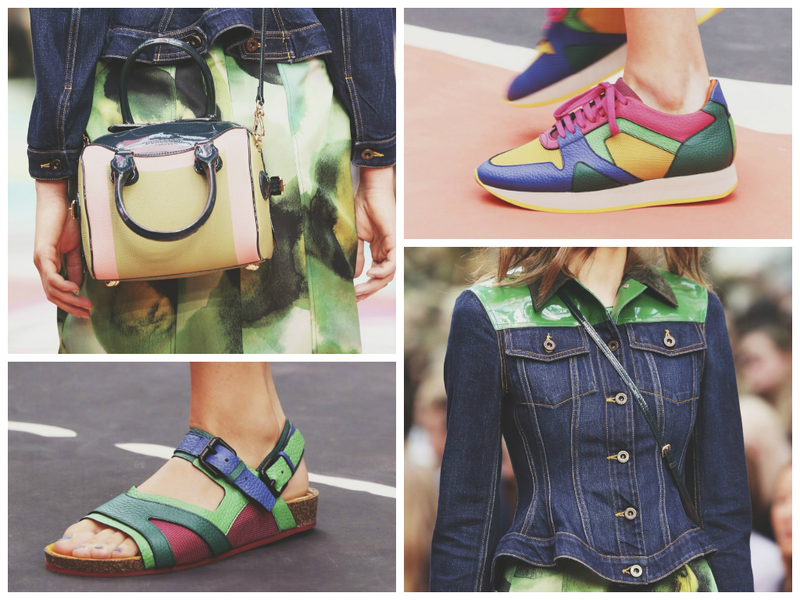 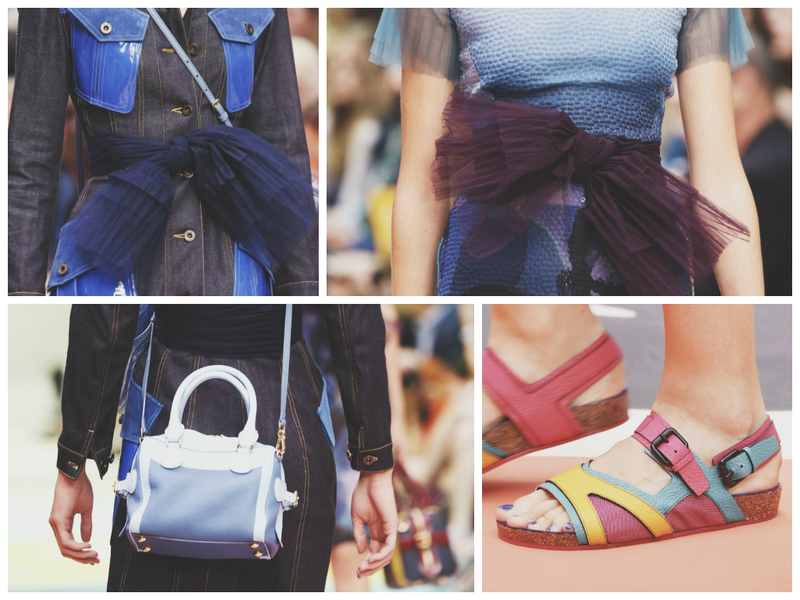 Varying versions of the denim jacket and bee bag were seen throughout the show. 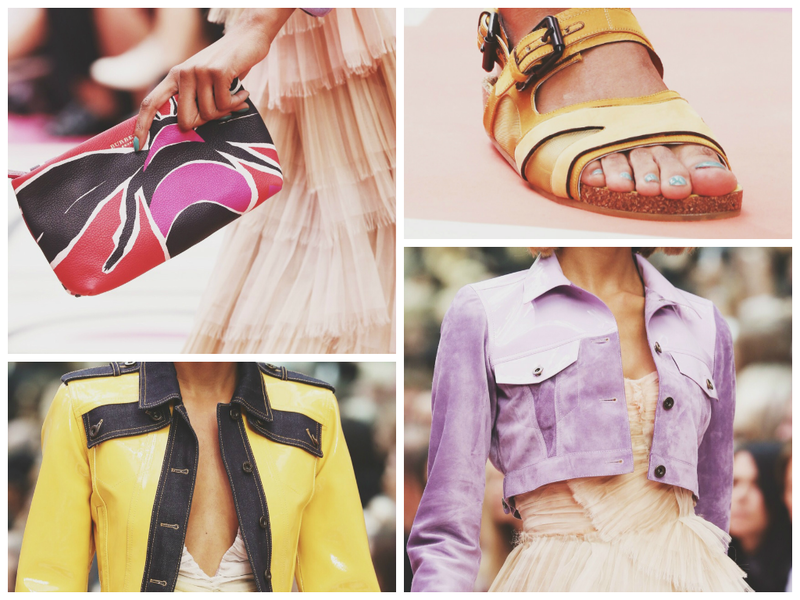 The jackets were cropped, printed, bold, some clad in dusty pink and green suede - the pieces were a kaleidoscope of colours. 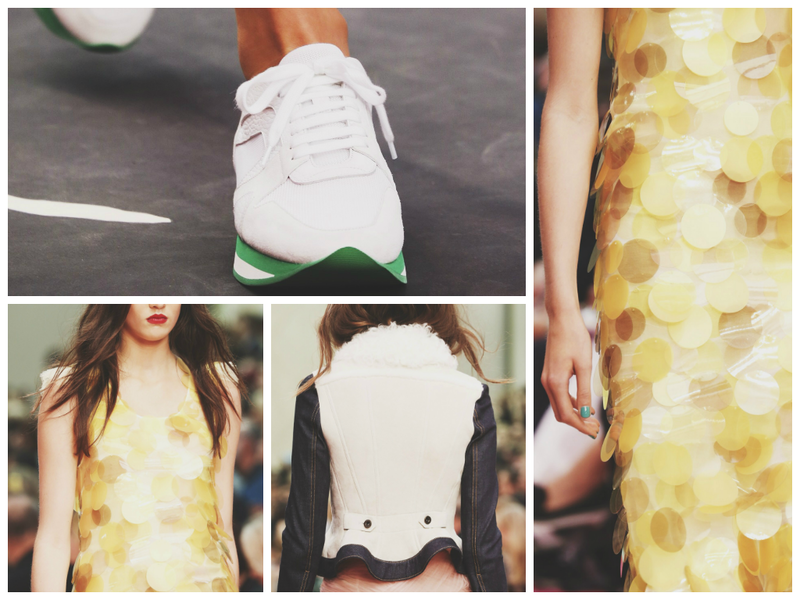 It wasn't just the jackets alone which made a unique appearance, but Bailey decided to introduce a white sneaker with a bright platform to the collections, and every fashion house seems to be featuring a hit sneaker. 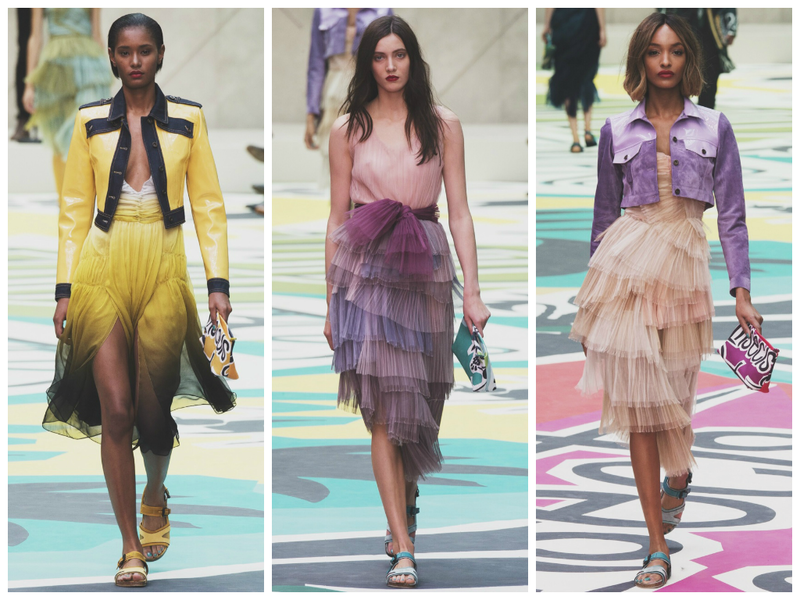 The show itself was lit up by the beautiful British sunshine shining through the show's tent in Kensington Gardens, as if it was meant to be.